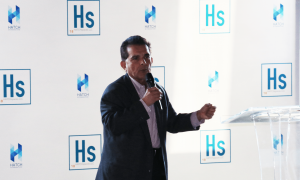 Three reasons to take notice of HATCH’s transformative presence in East Los Angeles | Propel L.A.
From LAEDC, in review of the opening of HATCHlabs. The 17,000 square foot facility located on the 5300 block of Alhambra Avenue in El Sereno was once one of the many metal works, or furniture fabrication facilities which became part of the business fabric in East Los Angeles. On the afternoon of December 11, 2018, it’s walls encapsulated a different crowd than the production workers it’s become so accustomed to. Real estate investor Allan Glass, President and CEO of ASG Real Estate Inc, enters through renovated entryways followed by Jasson Crockett, the Manager of Economic Policy representing City of LA Mayor Garcetti’s office. What has gathered some of the city’s top minds to the former home of wooden cabinets, sleepy art studios and vacated industrial parks is the opportunity to disrupt an industry on a global level. The grand opening of the facility this week has opened the door for Los Angeles to remain as an innovative contributor to the world’s bioscience industry and work to “feed, fuel, and heal us all” according HATCH. Quite a lot of industry experts and supporters were there, including Dina Lozofsky of Biocom, and Evan Richardson of City Constructors (CCi) which did the construction. 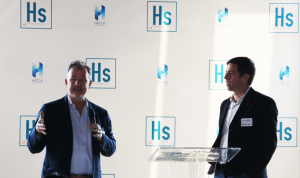 Read more about HATCHlabs grand opening!